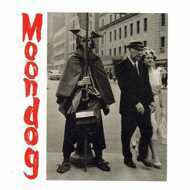 Compilation of early Moondog EP's and 10". ‘One thing’s for certain: you can buy this album secure in the knowledge that nothing else in your collection sounds remotely like it. Go on, surprise yourself’ (Observer Music Monthly). C10. Enough About Human Rights!